All his teachers are sure certain that Evan Galloway can be the graduate who brings glory to small, ordinary St. Sebastian's School. As for Evan, however, he can't be bothered anymore. Since the shock of his young father's suicide last spring, Evan no longer cares about the future. In fact, he believes that he spent the first fifteen years of his life living a lie. Despite his mother's encouragement and the steadfast companionship of his best friend, Alexis, Evan is mired in rage and bitterness. Good memories seem ludicrous when the present holds no hope. Then Evan's grandmother hands him the key--literally, a key--to a locked trunk that his father hid when he was the same age as Evan is now. Digging into the trunk and the small-town secrets it uncovers, Evan can begin to face who his father really was, and why even the love of his son could not save him. 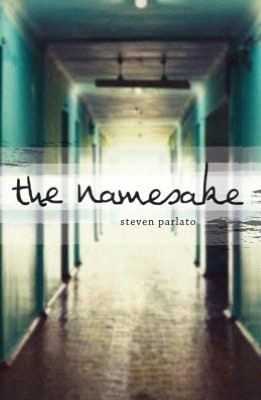 In a voice that resonates with the authenticity of grief, Steven Parlato tells a different kind of coming-of-age story, about a boy thrust into adulthood too soon, through the corridor of shame, disbelief, and finally...compassion. Whoa....That's how I felt after reading this book. After you get past the first couple of chapters that start off slow you then begin to question if you want to put the book down, but you keep reading because you have to know the truth. Evan, the main character goes through a lot in the beginning trying to wrap his head around his father's suicide. He's left with a huge hole in his heart and you can feel the grieve he is going through. It wasn't until his grandmother gives him a key to a trunk that held all of his father's secrets is when Evan is struck with the hard truth about his father's past that was kept a secret for so long and why he ended his life. The truth he finds out was shocking and chilling. I won't say because that would be spoiling the book for you, but it is a must read. The journey Evan goes through in uncovering the truth is very graphic and at times uncomfortable to read, but once you go through it, you see at the end that Evan was proud to be named after his father. You see that knowing the truth about his father kind of set both of them free. Disclosure: All opinions are my own. I received The Namesake at no cost for the purpose of this review. No other compensation was received. Online Shopping When Buying A Car?! Chopped All Stars Returns For Season 3! I Took The Pledge with @WSPACanada , Will You?! More Delicious Treats From #Kelloggs!